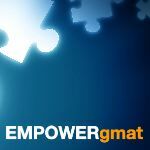 After how many days from the date of application can one appear for the gmat test? There's no such restriction. You can take the GMAT even one day before submitting your application. For schools even allow applicants to submit GMAT score later, even after submitting the application. However, it's highly advisable to complete you GMAT 3 months before application so that applicants do not have to juggle between writing applicating and creating for the GMAT. All the best. Theoretically, even on the same day as the application deadline! You can schedule your Official GMAT on most days of the year (each Test Facility has its own schedule though - and Centers tend to be closed on major holidays). You could potentially schedule your Exam on the same day that you're scheduling - but that would probably not be a good idea (having 'lead time' to prepare for Test Day is beneficial, so that you can plan out all of the various aspects of that Day that are not simply about how you'll be answering GMAT questions. If you're looking to give yourself enough study time before you take the Official GMAT, then it's worth noting that many Test Takers spend 3 months (or more) of consistent study time before they hit their 'peak' scores, so you'll probably want that much time too. You might also want to consider the various application deadlines for the Schools that you're interested in - since you'll also need time to work on your applications. Have you actually started studying for the GMAT yet? If you're just beginning your studies, then it would be a good idea to take a FULL-LENGTH practice CAT Test; you can take 2 for free at www.mba.com (and they come with some additional practice materials). If you want to do a little studying first, so that you can familiarize yourself with the basic content and question types, then that's okay - but you shouldn't wait too long to take that initial CAT. That score will give us a good sense of your natural strengths and weaknesses and will help provide a basis for comparison as you continue to study. A FULL CAT takes about 3.5 hours to complete, so make sure that you've set aside enough time to take it in one sitting. Once you have those scores, you should report back here and we can come up with a study plan. You could also get in touch with your target programs and ask them what they think about this. Are you asking how many days before your application is due should you take the GMAT so that your desire schools receive your official GMAT score? Hi Arpita27, you can schedule your exam on most days of the year according to a schedule that suits you. Click here to find a test center near you and to access information regarding how long you should study for the exam. Good luck!